O Immaculate Virgin, Mother of the True God and Mother of the Church! Whatever your needs are, many people find prayers to assist them in every day life and with any difficulties they may have before them. We understand your intentions are sacred and you can be assured that they will be kept strictly confidential. If you would like Prayers said using our free online prayer request service, please fill in the following form. 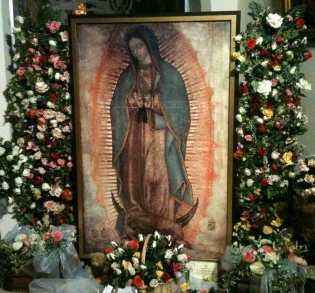 Your intentions will be offered up and supported by members of Our Lady of Guadalupe prayer groups established here at the Shrine in Bedford, England and throughout the United Kingdom.